I’ve been experimenting with all kinds of protein packed vegan loaves and “burgers”. Some are winners, some are not. My tugboat man will literally eat anything and everything — although he’s not a very discerning critic, he’s a nice and appreciative hub. When my son and DIL visited last month, DIL and I teamed up to build a delicious and healthy loaf, but I didn’t get a chance to take pics. They’ll be back tomorrow and I’ve attempted to recreate our original recipe. 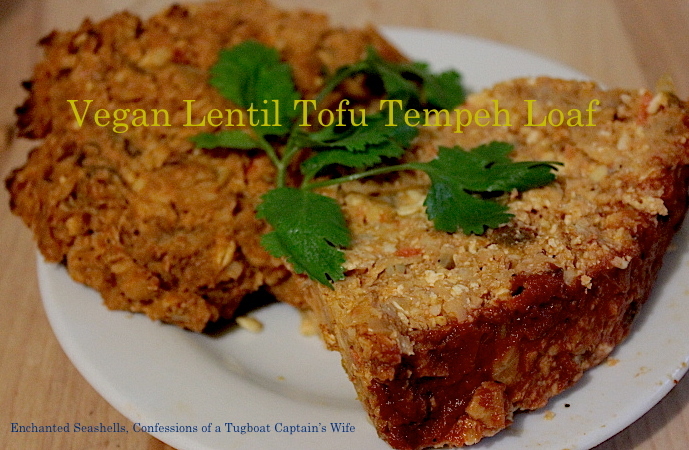 If you’re not familiar with tempeh, here’s an explanation: Tempeh is fermented cooked soybeans (or grains). This fermentation binds the soybeans into a compact white cake. Tempeh has been a favorite food and staple source of protein in Indonesia for several hundred years. It’s low fat and high in protein. 1. 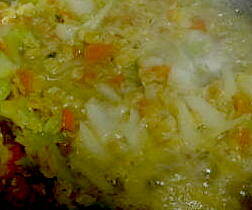 Cook lentils, onion, carrots, celery with two cups water until tender. 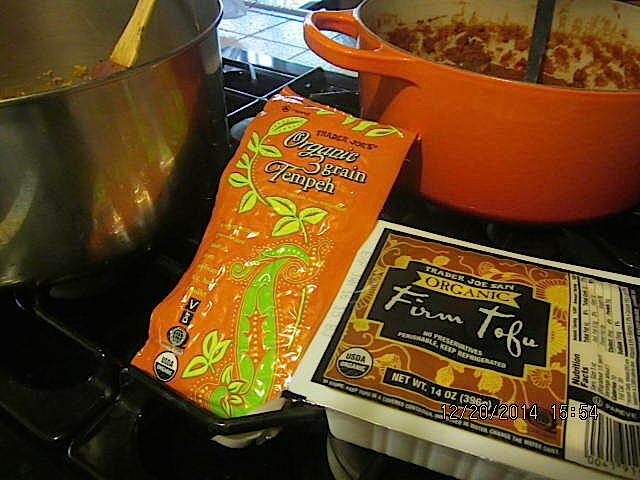 Check as lentils are cooking and add water as needed so they’re moist yet fully absorb water, about thirty-forty minutes. 2. Turn lentils into large bowl. 3. Crumble tempeh and mash tofu with lentils. 4. 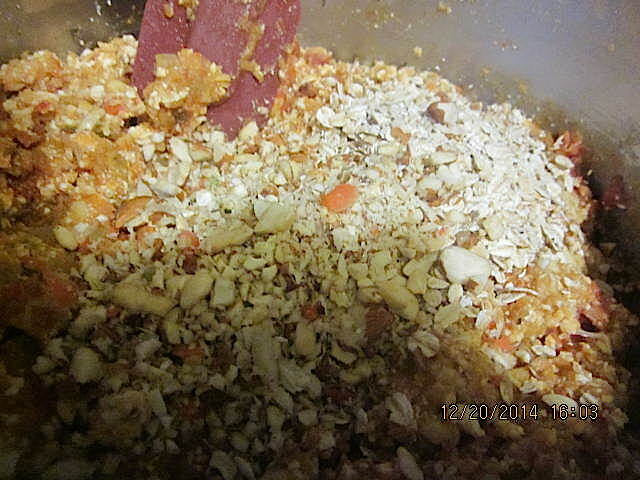 Add rolled oats, chia, and chopped nuts. (I used a mixture of almonds and cashews.) 5. I like to use my hands to mix everything together so I get a feel for texture and whether it’s too dry or too moist. You def don’t want it too dry or it’ll fall apart. 6. Tear whole wheat bread into small pieces, Mix. 7. 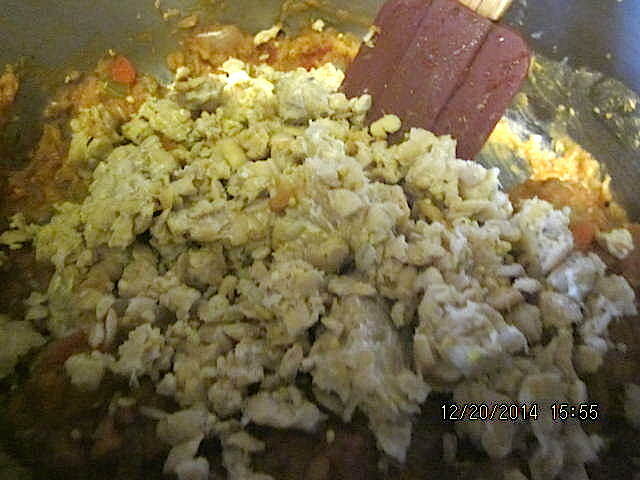 Add olive oil, ketchup or tomato sauce, mustard, curry, salt, pepper, vinegar, hot pepper flakes, Worcestershire sauce. 8. Mix, taste, and adjust seasonings. 9. 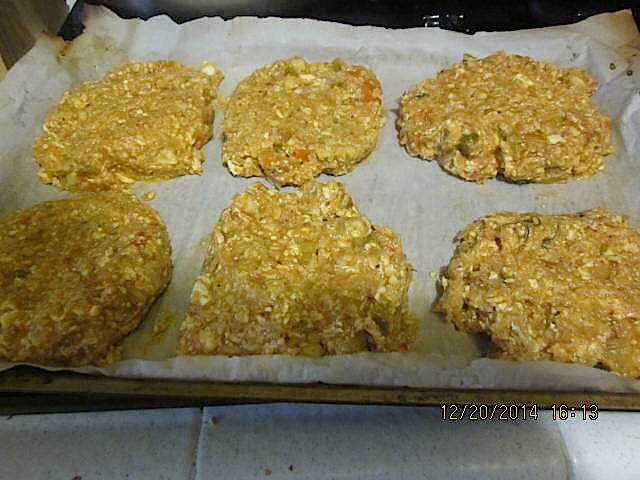 Fill greased loaf pan, form patties with any extra. Topping: Ketchup mixed with a little maple syrup. Bake at 350 degrees for about 45 minutes. 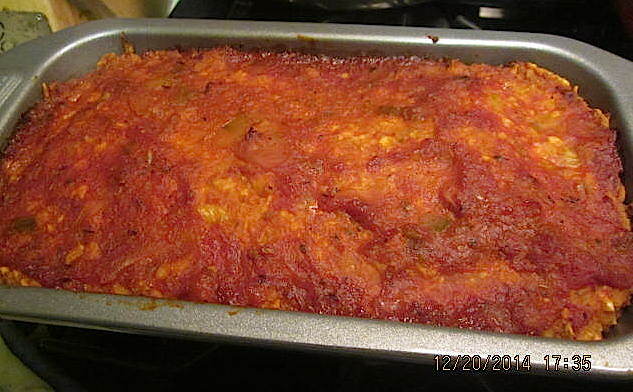 Serve with ketchup or vegan gravy. Tastes good hot or cold! Let cool in pan before slicing. Making a day ahead is even better. This entry was posted in Health and Beauty, Recipes & Food, Mostly Vegan and tagged Cooking, Cruelty free eating, Home cooking, lentils, rolled oats, Tempeh, Tempeh Loaf, Tofu, Vegan Lentil Tofu Tempeh Loaf Recipe, vegan recipe by Enchanted Seashells by Princess Rosebud. Bookmark the permalink. I love lentils, but have never been a fan of Tofu. However, that loaf looks wonderful. You may have convinced me to climb aboard the Tofu train! Choo choo! For those who don’t like the flavor or look of tofu, adding it this way only adds flavor and nutrition but you never see it! Let me know what you think. Play around with herbs and spices that appeal to you. What a fantastic source of plant based protein! Your recipe seems easy enough and sounds really tasty. I’m pinning this to try very soon! Thank you! I’d love to see your version! I don’t know if it’s just my family, but they really love vegan loaves and patties. Cool! I will have to try it. Or something like it. HATE celery when it’s cooked. Of course you can adapt to your own tastes!